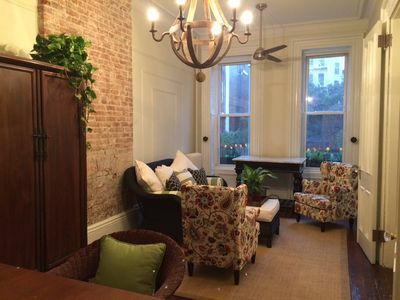 2 Bedroom 2 Bath Soho Gem! 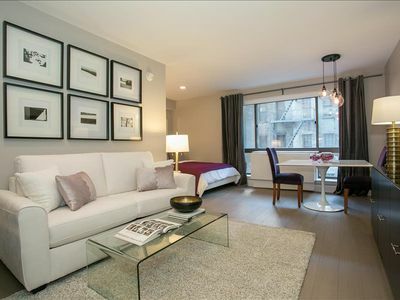 Gorgeous, recently renovated 2 bedroom & 2 bathroom apartment with bedrooms totally separated. 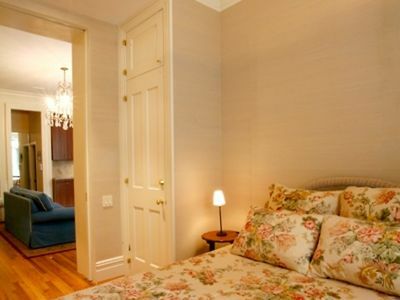 Situated in the heart of Soho, the shopping & eating capital of NYC. 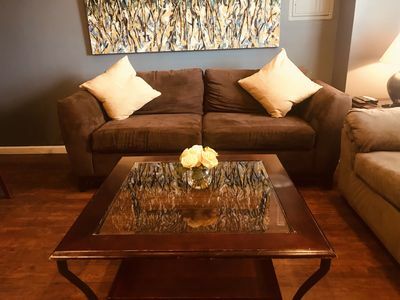 Dreamy Saintly beds you'll want to buy yourself & awesome sleeper sofa, washer/dryer in the unit, professional cleaning and all the necessities provided. Welcome to New York City! 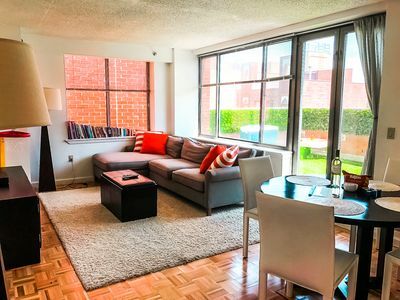 The entire city is at your fingertips from this centrally located luxury apartment. 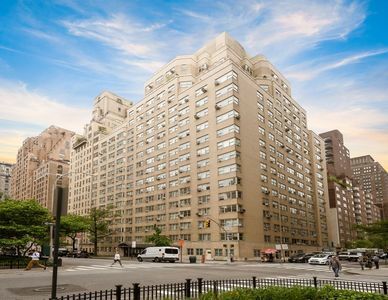 You are directly situated around the highlights of Manhattan and near the major train lines. 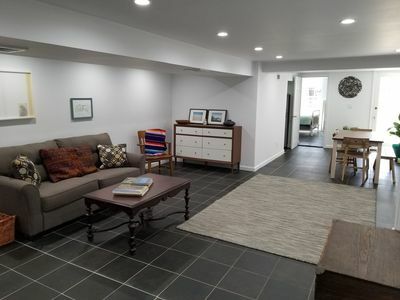 Our sunny, private 2-bedroom, 2-bath 2nd floor apartment can host up to 6 comfortably with queen- and full/double-sized Saintly beds and a full-sized convertible sleeper-sofa. The apartment has a relaxing living room and bedrooms are located at either ends of the apartment, affording maximum privacy. 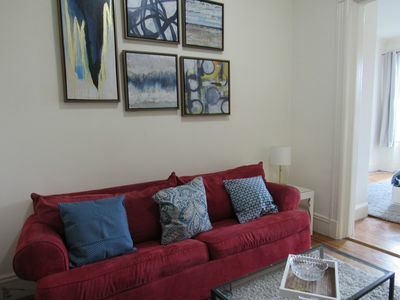 - New, modern furniture, including awesome sofa that easily converts to a queen-sized sleeper sofa. 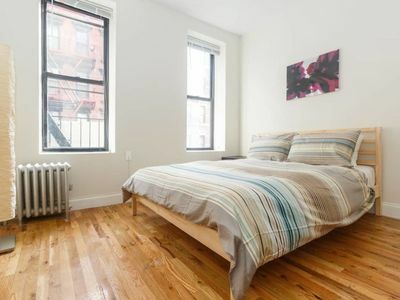 - Bedrooms include brand new queen- and full-sized Saintly mattresses, plenty of closet space and dressers and drawers. 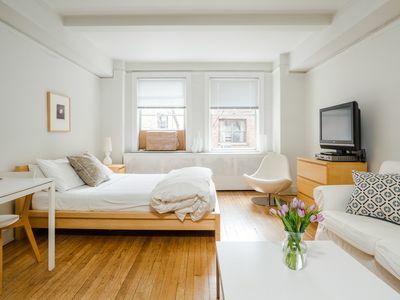 - Very quiet bedrooms: the street is quite being mostly cafes and apartments and the back bedroom is so far into the interior of the building that you don't hear a single peep from the city! - Very comfortable extended full-sized sleeper sofa that easily converts in seconds! 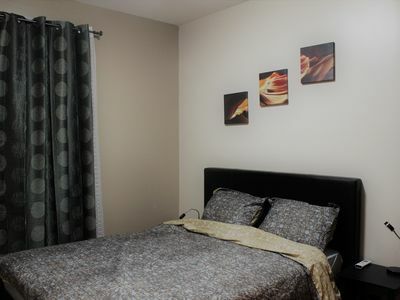 - Plenty of clean linens and towels provided! 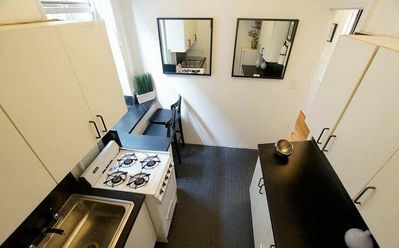 You get the entire apartment! I'm in the area and always very responsive to messages, email and text! 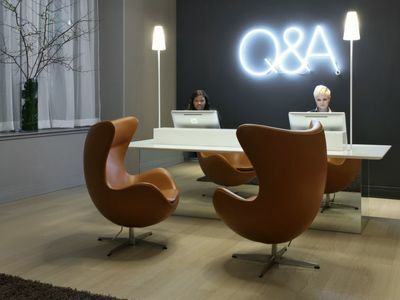 What we love about the location in Soho? It's close to everything! 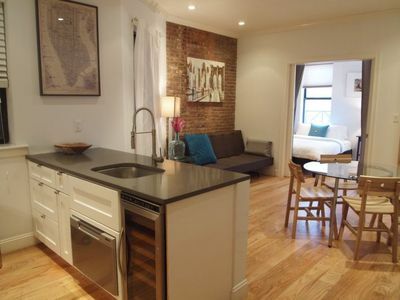 - A centrally located walk to West Village, Meatpacking, Flatiron, Greenwich Village and TriBeCa neighborhoods! Just south of major tourist spots such as Times Square. 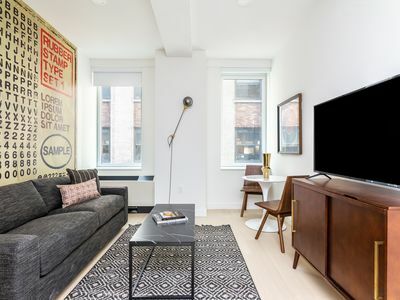 - I've been living in New York City for a while and love recommending some of my favorite hidden gems for NYC first timers! 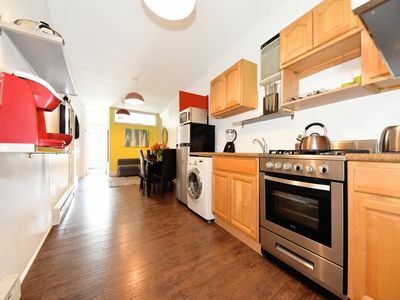 You are in the middle of the excitement, with easy access to subway, buses and taxis right on Houston Street. There are plenty of subway stops in the area. The closest C,E train runs north to plenty of tourist locations such as Madison Square Garden, Penn Station, Times Square and all the major museums. I check requests immediately upon receiving them and the calendar is always up to date! Go ahead and book! 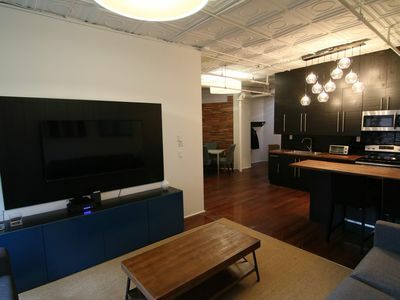 Penthouse Park View Sleeps 12! 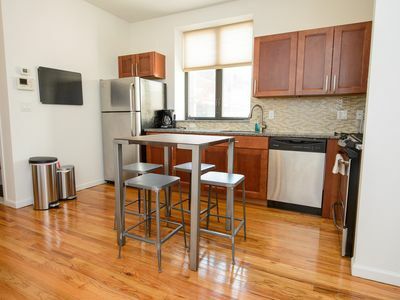 NEW - 2 BR's - 10 min. to Manhattan! 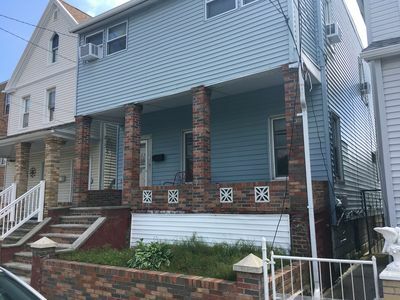 Beautiful & Comfortable Apartment in Brooklyn! 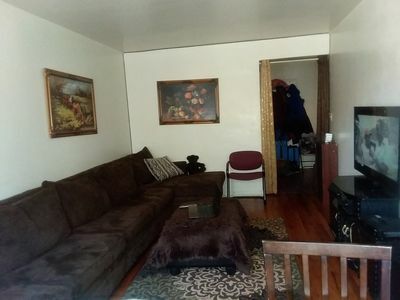 Come to my home for the true New Yorker experince! Needle in the Haystack! 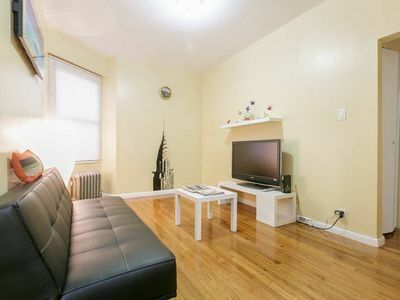 Perfect 2br/1ba w/HUGE PRIVATE TERRACE! Great Location!